The organisation’s Swimming Programme supports people to gain confidence in swimming and has been designed to bridge the gap between therapy services and leisure centres. Sport for Confidence CIC was founded by occupational therapist Lyndsey and people with or without disabilities are encouraged to swim together. The partnership between the swim team and health professionals ensures a practical approach to supporting individuals to overcome barriers which would have previously prevented them from participating in a mainstream leisure environment. Lyndsey said: “We have been putting occupational therapists into leisure centres and working with the physio team and the swim team to create the Swim for Confidence programme, a community swimming programme where people can go for hydrotherapy sessions and into mainstream swimming. “We can provide swim sessions for people from mental health services and we can remove the barriers to participation. Judy Tullett and Jill Walker were both presented with recognition awards for Services to Aquatics. When two swimming pools in Birmingham were facing the threat of closure, swimming teacher Judy decided to step in to ensure more people could continue to swim. 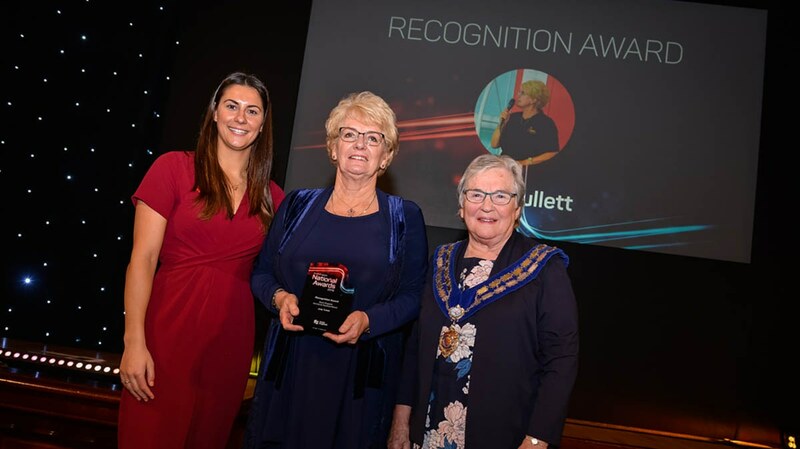 Having worked in the public and voluntary sector for more than 40 years, Judy played a key role in the successful transfer of the Castle Vale Pool and Moseley Road Baths from Birmingham City Council to social enterprise groups. She has been instrumental in successfully receiving regional funding to help the centres continue to run. Now retired from her ‘day job’, Judy dedicates even more of her time to swimming and is chairperson at Kingsbury Aquarius Swimming Club and holds a number of roles on various groups and committees, including the Birmingham Swimming Action Group and the Birmingham Aquatic Steering Group that is helping the shape the future of swimming provision across the city. She said: “It’s really great. “I think it’s for a combination of things as I do quite a lot locally teaching swimming and working with schools but also I’ve been part of transferring pools into local management. Jill has been credited with helping ensure Lowestoft & Oulton Broad Swimming Club (LOBSC) survived after a tricky few years. 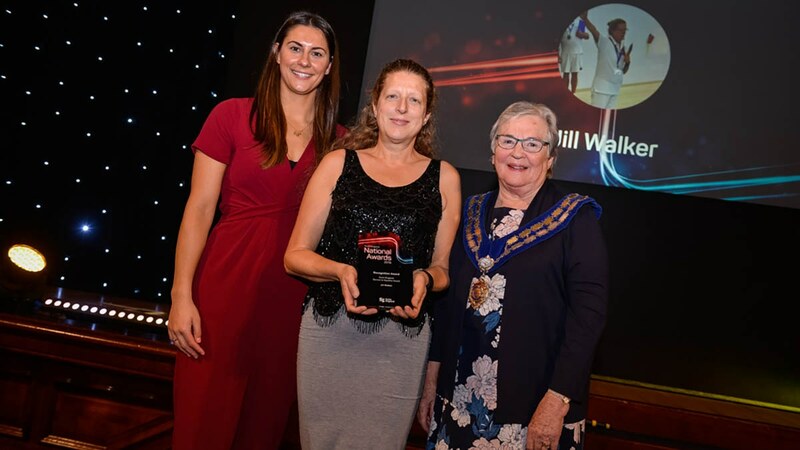 When the leisure centre they were based in closed for refurbishment, Jill, alongside her husband, Andy, found alternative facilities and would then travel around them all to provide coaching for the swimmers. When the pool reopened, it was Jill and Andy who spearheaded LOBSC’s recovery during a touch and go time for the club as finances had severely dwindled. On top of all this, she has organised regular fundraising events and has also been Suffolk County President and was SCASA disability representative for a number of years. She said: “I’m very honoured – I wasn’t expecting anything like this at all. The majority of people in Britain who volunteer aren’t doing it to get anything back other than just the satisfaction of volunteering. Barnsley Premier Leisure Limited has invested heavily in aquatics. In the last 12 months, it has worked closely with Swim England’s Strategic Partnership Team to roll out its Bolt On Swimming Lesson programme to include competitive swimming, diving, synchro and, soon, water polo. Barnsley Premier Leisure has installed a brand new 20m x 6m teaching pool at an older site where the spectator seating had been condemned and this has led to an additional 600 children learning to swim each week. It’s been a busy year for Everyone Active with more than 130,000 people attending swimming lessons at its centres across the country every week. Ongoing training is essential and last year Everyone Active supported 200 colleagues in achieving a Level 1 qualification, 219 in achieving a Level 2 and 698 in achieving CPD qualifications. Throughout the group’s 30-year history, it has worked closely with Swim England to create and deliver a robust swimming lesson programme that has helped millions of people learn a lifesaving skill.